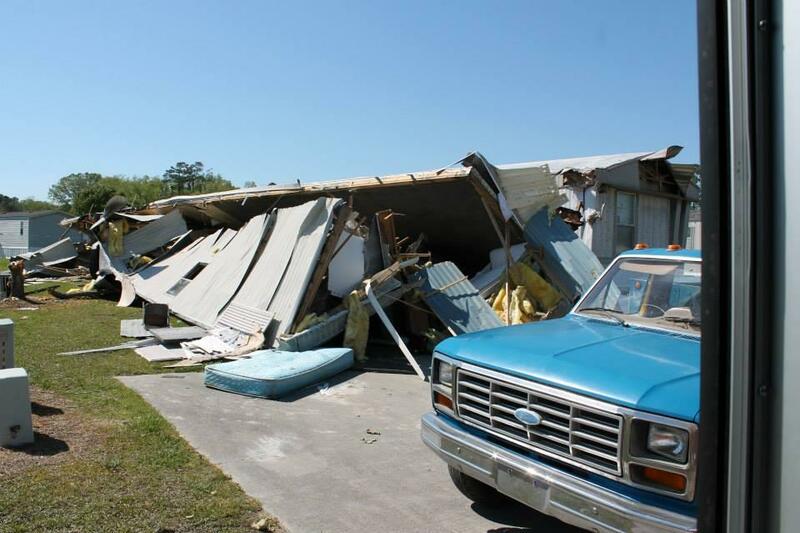 Hundreds of people are displaced after their homes were damaged or destroyed during last week's tornadoes. 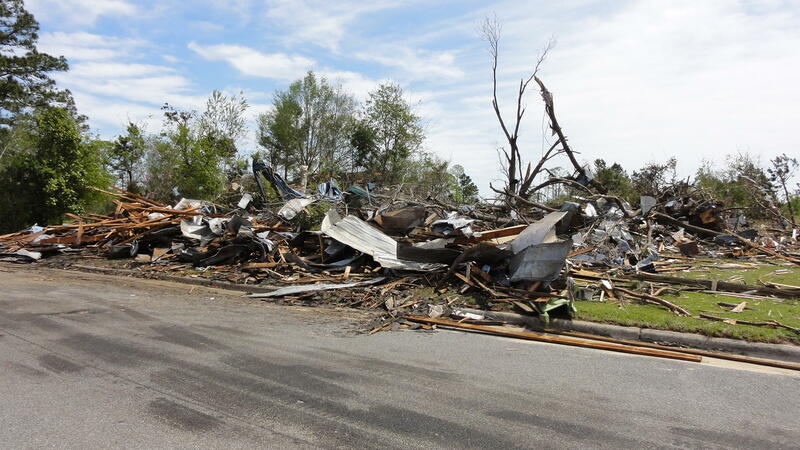 An in-depth review of the storm that impacted eastern North Carolina and the efforts underway to help residents recover. Eastern North Carolina has had its fair share of severe weather lately. 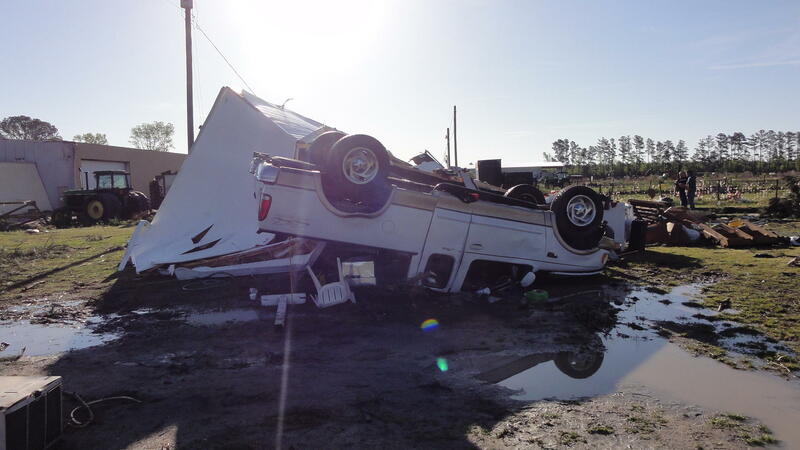 On Tuesday, at least four tornados were confirmed to have touched down in eastern North Carolina, in Craven, Cumberland, Edgecombe, and Jones counties. The National Weather Service reported that a roof was blown off a home in Edgecombe County, minor structural damage, downed trees, and no major injuries. 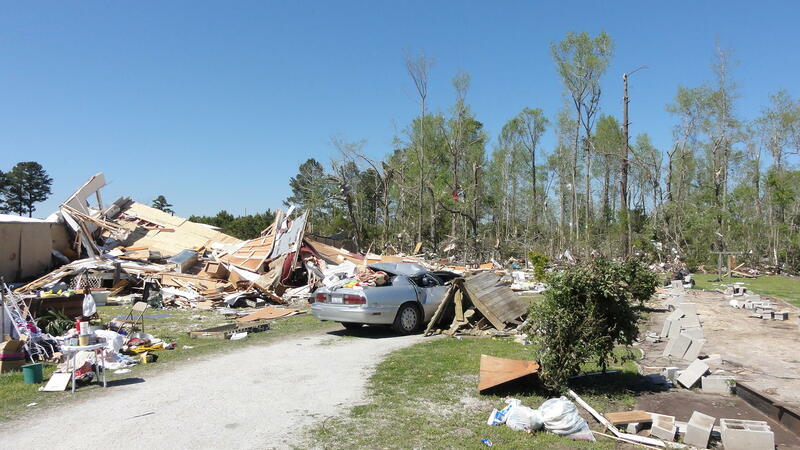 While the storms this week were relatively minor, severe weather last Friday caused widespread damage and lead to the death of an 11 month old boy in Chowan County, part of a storm system with six confirmed tornadoes in eastern North Carolina. Around 1:15 Friday afternoon, the National Weather Service office in Newport issued a tornado watch for all of eastern North Carolina. Shortly after, the first tornado warning was issued for the Greene County area. 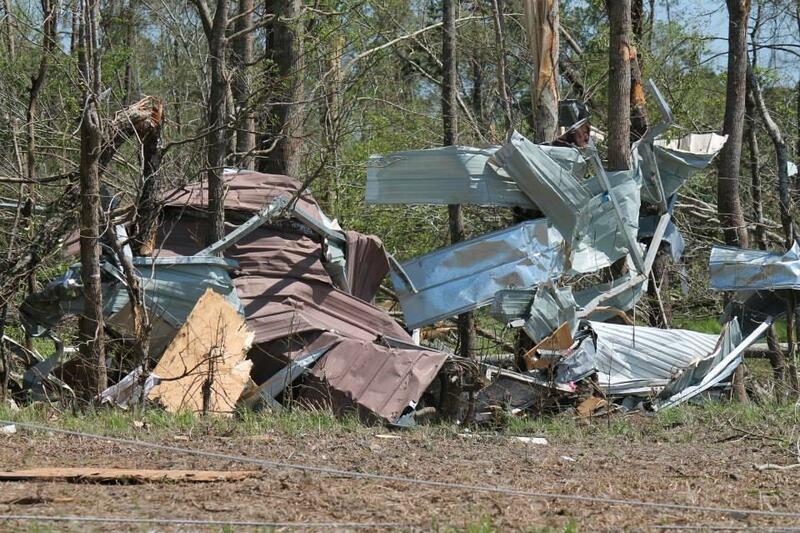 An EF-0 tornado, with wind speeds of 65 to 85 mph, touched down near Shine, about five miles west of Snow Hill. A second tornado formed near Walstonburg, six miles north of Snow Hill as a more powerful EF1, with maximum wind speeds of 110 mph. Greene County Emergency Management Specialist Trey Cash. By 6pm Friday evening, the tornado warning expired. But an hour later, as the main line of the storm system moved west to east, tornadoes touched down in Pitt and Beaufort Counties. At 7:22 pm, an EF-2 tornado touched down in the community of Chicod. Meteorologist with the National Weather Service in Newport Lara Pagano said wind speeds hit at least 115 miles per hour. 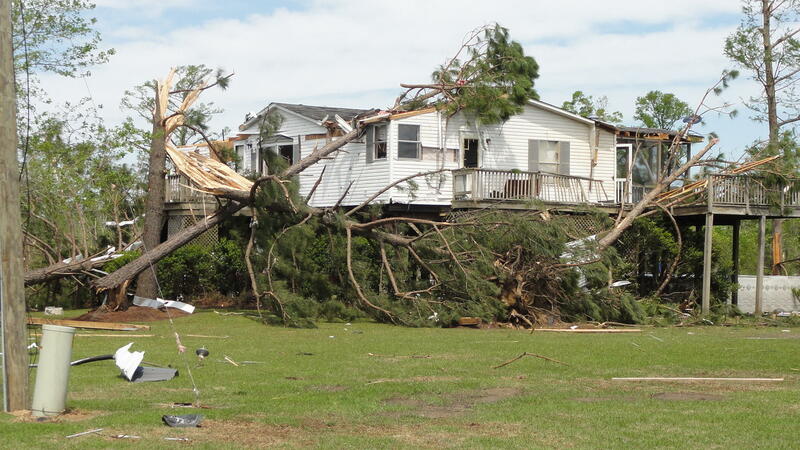 Residents in Pitt County also sustained major damages. Director of Emergency Management Noel Lee says the EF-2 tornado touched down near Black Jack-Simpson Road around 7:15 pm, destroying three homes and damaging a farming operation in Pitt County. Lee says no injuries were reported because residents either evacuated or were not home during the tornado. After impacting Pitt County, the tornado left the ground and then touched down again at 7:35 in Beaufort County. The now EF-3 tornado, about 350 yards wide with maximum wind speeds of 150 miles per hour, devastated the Whichards Beach community in Chocowinity. John Pack is the Emergency Services Coordinator for Beaufort County. He says the tornado crossed the Pamlico River and touched down again on the other side as an EF-2. The entire path of the tornado spanned 21 miles as it travelled through Pitt and Beaufort Counties. 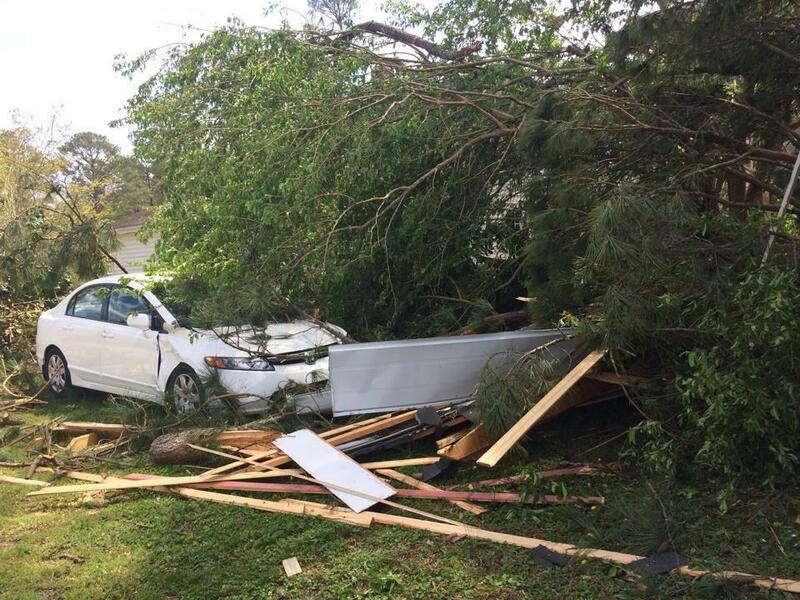 Over all, the storm caused 16 injuries and damaged hundreds of homes, mostly in Beaufort County. Around 8:30pm, the severe weather began to weaken and that’s when disaster relief organizations like the American Red Cross sprang into action. A Red Cross shelter opened in Beaufort County, where 18 residents stayed overnight Friday at Snowd Branch Church of God. 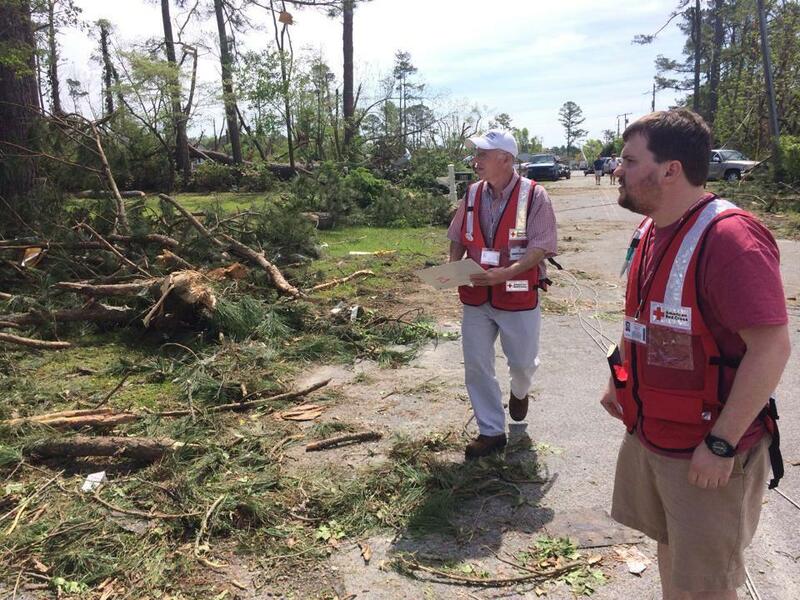 Director of Communications for the Eastern North Carolina region of the American Red Cross Autumn Mihm says over 160 disaster workers were mobilized to eastern North Carolina to assist in tornado cleanup and recovery. By Tuesday, Red Cross volunteers’ shifted their priority from providing disaster recovery to helping tornado victims devise a disaster recovery plan. 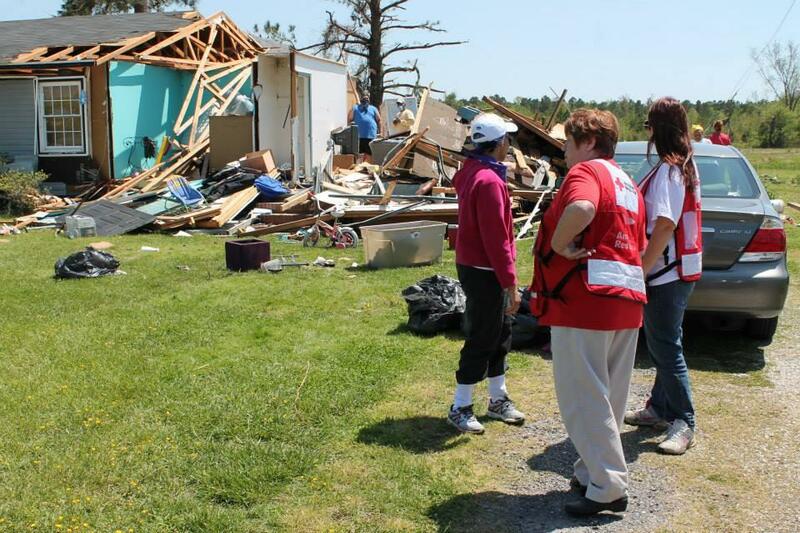 The American Red Cross also partners with other local, state and national organizations to offer disaster relief. On Monday, Governor Pat McCrory declared a state of emergency for Beaufort, Chowan, Pasquotank, and Perquimans counties, the first step in seeking federal funds to help defray the cost of providing emergency services, cleaning up debris, and repairing public infrastructure. As residents in eastern North Carolina start to rebuild, they face a long road to a sense of normalcy. Beaufort County Emergency Coordinator John Pack estimates it will take at least a year and a half. Knowing how to keep your household safe during weather emergencies is critical because once a warning is issued in your area, you may have very little time to react. Seek shelter in the lowest level of your home, in a center room, or in a closet away from windows. If you’re in a bathroom, you can lie in a bathtub. Cover your body with a blanket or quilt to protect against flying debris such as broken glass. If you are caught outside during a tornado, lie flat in a ditch or low-lying area and cover your head and neck. For more information on how to prepare for severe weather and to see pictures of damage from the recent storms, visit our website publicradioeast.org.